Earthquake at Japan: Japan faced the prelim earthquake today. The 5.4 Magnitude has recorded as per the source (United States Geological Survey report). It struck 12.4 miles off the coastal area of the east (Funaishikawa, Japan) on the night of Wednesday 14:47:16.80 UTC (July 27, 2016). The epicenter located below the sea-level as 47 km from the land surface. 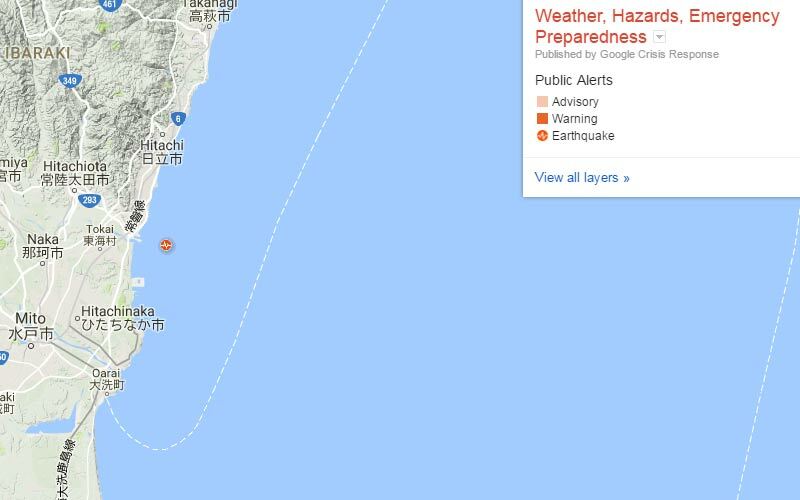 Look at this page for more detailed information about the Earthquake in Japan on Wednesday Night. The Location of the earthquake has noted, and it is the Ibaragi coat, Tokyo. Still, there are no reports of the damages. The local Meteorological Agency announced the warning as there is no tsunami after this sudden earthquake. Also, the Tokai No. 2 Nuclear Plant (near to the quake) has not affected because of this earthquake. The Local news report, ‘Kyodo News’ said.